Look at this perfect bathroom! I love the designer's work so much! In this bathroom we see a mixture of strictness with sheer luxury feel, which, first of all, was achieved by the colour scheme. Oh, how I love this rich olive hue! 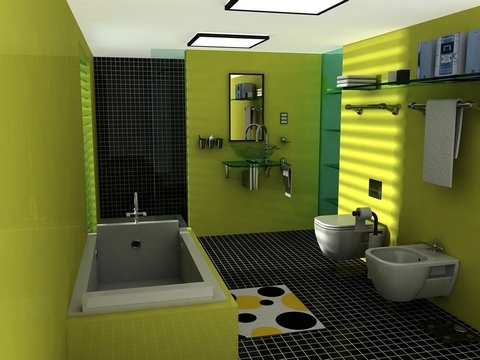 Overally, this bathroom looks very stylish and contemporary.